We’re offering two new Unlimited Plans – monthly and yearly – which include unlimited no-fee Masked Cards for bank-linked customers. Unlimited plans will cost $14.99 per month or $99 annually. Blur Unlimited users can now pay privately online–with no additional cost for each transaction. 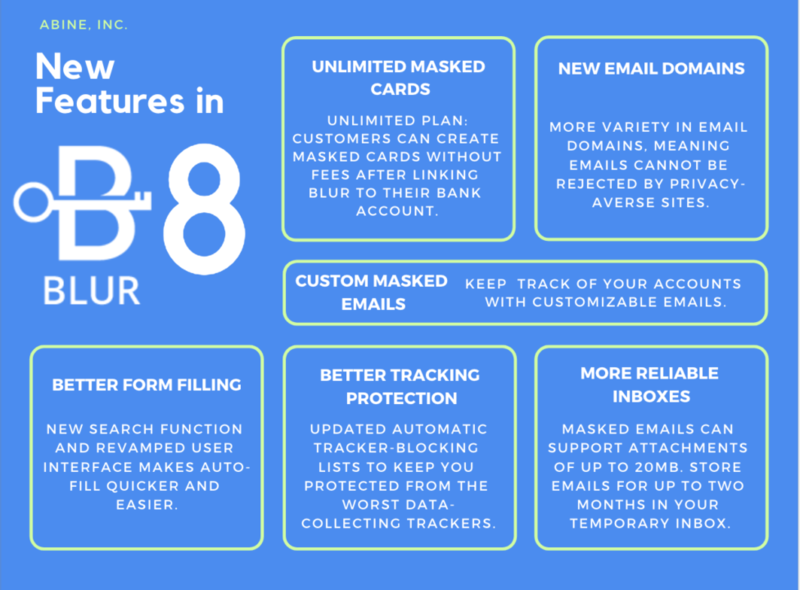 Users have asked for more variety in email domains, not just opayq.com, so we delivered: we’ve added over 50 new domains for our Masked Emails. Additionally, a small number of websites have been rejecting opayq.com. If these sites are not respecting user’s choice to stay private online, we will continue creating more domains to help them do stay in control of their information. Before Blur 8, every Masked Email address was a random mix of numbers and letters, such as hv944cejr2fs@opayq.com. Now, premium Blur users can create custom Masked Email addresses, like john2019@opayq.com or john+amazon_account@opayq.com. 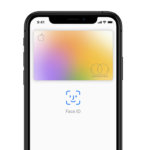 Free users can will be able to create up to three custom Masked Email addresses, plus, they’ll be rewarded with additional custom Masked Email addresses for reporting when website has rejected a Masked Email domain. Many users have requested increased limits for sending and receiving email attachments: Masked Emails can now send and receive email attachments up to 20mb, an increase from 5mb. Plus, Blur Premium users can now store emails for up to two months in their temporary inboxes. We’ve improved the user interface and search functions so form-filling is better on all websites. Find Masked Emails and passwords easier and faster. We’ve updated our automatic tracker-blocking lists to keep you protected from the worst data-collecting web trackers. New trackers are regularly introduced to the public, while old ones will eventually fade away, so we regularly update our lists. It’s becoming more and more difficult to stay on top of what information is being collected about you, and by whom. With Blur 8, it’s even easier than before to limit the information you’re giving out, and stay in control of your personal information.